Nexus-Computing together with Our-Sci and Matthew Daniels from Golabl Urban forest, held a master class at Swinburne University of Technology, Melbourne in advanced environmental sensing, discussing new tools and platforms that allow arborists to asses tree health and improve overal tree growth success rates. During the past months, we have been focused on creating an Android application and web platform to support our vision of grand scale collaborative research. One of the most important pieces in making reasearch data meaningful is showing progress of a project, visualizing the right numbers and trends to scientist and end users. This is what we achieved with our dashboard feature. It is a highly customizable data visualization tool with a focus on clarity and research progress. As part of the Real Food Campaign, Nexus-Computing and Our-Sci are building tools and a lab to test nutrient levels in food. Our final product will provide customers with a handheld device to measure nutrient density in vegetable and fruit. Our classic Hands-On Android training. 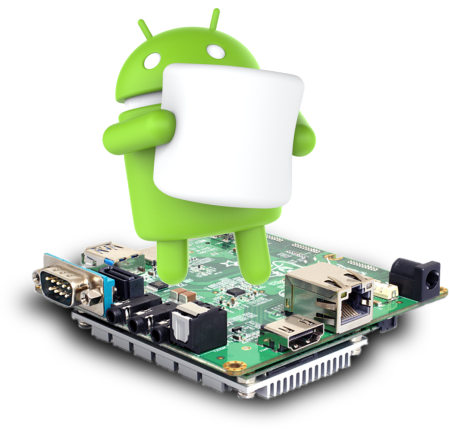 This is a 4 day workshop showing you the ins- and outs of Embedded Android featuring numerous practical exercises. Nexus-Computing has specialized in delivering high quality software solutions to clients requiring solid and robust systems based on web technology, real time micro computing and embedded systems. Thanks to the broad spectrum of technology utilized for their clients, Nexus-Computings excels in delivering state of the art software. For the Danish Startup Company iLocator we were involved in Hard- and Software engineering of their GPS-Bridge Hardware Platform for automotive GEO-Logging. The Bristol University (UK) is using our custom build solution to measure particle levels in their Lab. With an Arduino Due and Android Tablets they are able to display Chemical processes over a period of time. The OsciPrime oscilloscope is an USB oscilloscope for Android that includes both a custom hardware front-end and software. It is entirely open-source and demonstrates our skillset in hardware and software engineering. For our clients we have evaluated many hardware platforms for various purposes, below is a list of the most popular systems we have used in successful projects. One of the most promising platforms for industrial projects is the IMX6 chip series of Freescale. 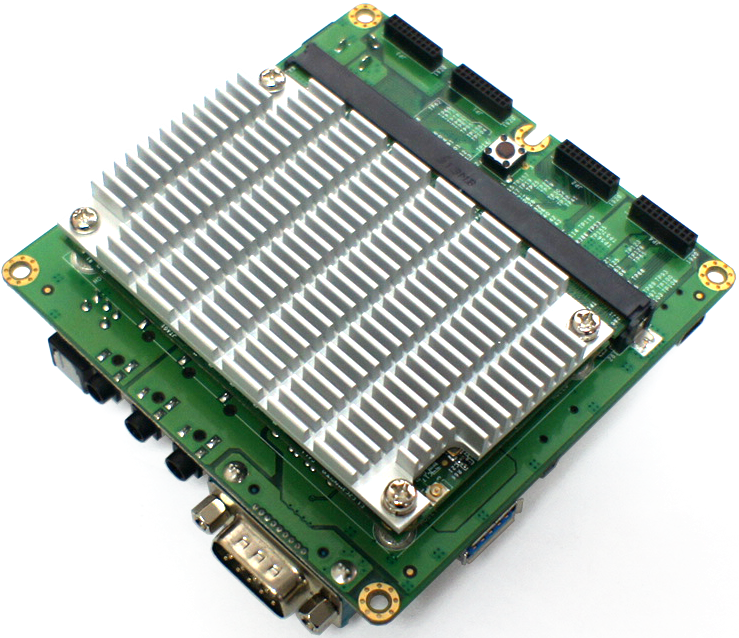 The Wandboard is a low cost solution based on IMX6 and offers a large array of interfaces for external hardware. Nexus-Computing conducts their Android Embedded Trainings on this platform as it features great support for Linux and Android. 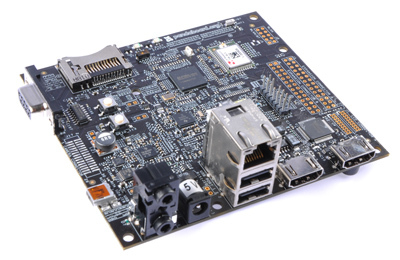 The Wandboard is an Embedded System Board, thus it is usually running an operating system such as a Linux distribution or Android. While the recent hardware support for Linux is covered by patches in the mainline kernel, official support for the platform is based on older kernel versions. Note that there is an open source implementation for Linux of the graphic drivers, which is a significant success in the embedded industry, however a port to Android of it is lacking. If you are interested to run Android with decent UI performance you are reliant on the older kernel version and closed source driver for Android. 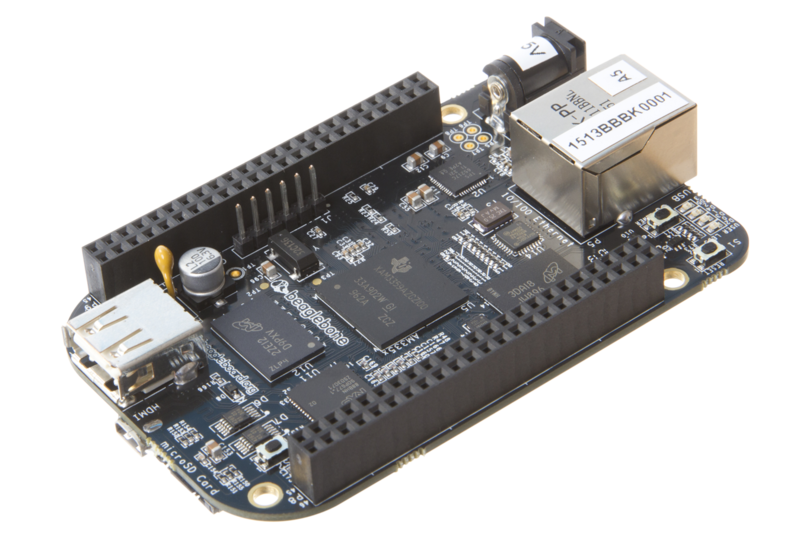 The Beaglebone Black is based on a Texas Instruments OMAP chip which is commonly found in industrial application environments. As a low cost board it aims to address the market for prototyping and hobbyist purposes. As it is a single core solution it is more limiting in performace in comparison to the Wandboard or the Raspberry PI 2. However, the excellent support for the Linux kernel allows this platform to be a strong competitor in the market for embedded systems. Also the form factor of the platform makes it a great fit for projects where space is a limiting criteria. Nexus-Computing has conducted Embedded Linux (Yocto) and Embedded Android Trainings on the platform for several clients. It is also notable that the platform (hardware and software) is fully available as open source. The Pandaboard has been a great development platform for Embedded Linux and Embedded Android. It features a TI OMAP processor with support for the Linux Kernel and has been one of the more popular development systems around 2012, it has lost in popularity due to the arrival of more powerful hardware platforms of the more recent time. The Pandaboard has been one of the earliest embedded platforms with reasonably good Android support from the manufacturer. Nexus-Computing has held many Embedded Android trainings on the Pandaboard and used it for several client projects. 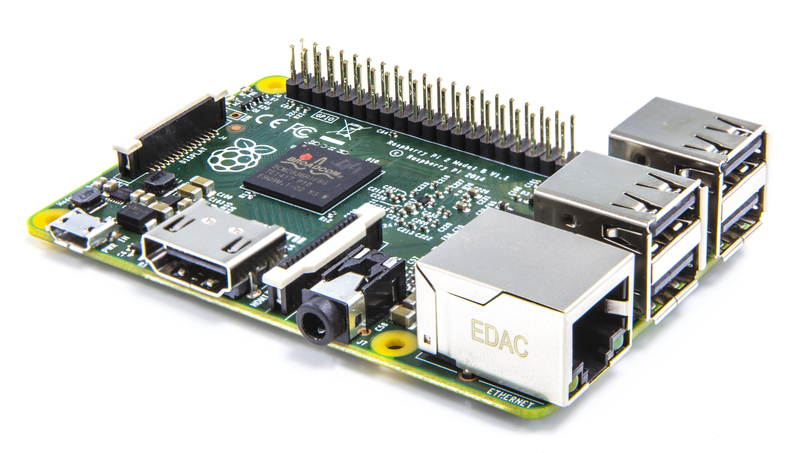 The Raspberry Pi has been announced right in time for the Embedded World 2012 in Nürnberg DE where it attracted wide interest right away. Sadly, while the demand of the visitors for purchasing the board has been very high, the models quickly sold out and at the time have only been available for preorder. While being a fantastic tool for getting to know Linux and creating prototype projects, the platform struggles in following up on important criteria of embedded systems. The lack of documentation for the controler on the board as well as the obscure way the bootloader works are factors which disencourage clients from commiting to the system. However, as a product for educational purposes and prototyping, the Raspberry excells with a very respectable amount of peripherals as well as a living and active community behind the project. Nexus-Computing has worked with the Raspberri Pi for a client project of LVS in order to create a Terminal controlling a bet slip reader, bar code scanner, NFC reader and thermal printer using Yocto Linux. 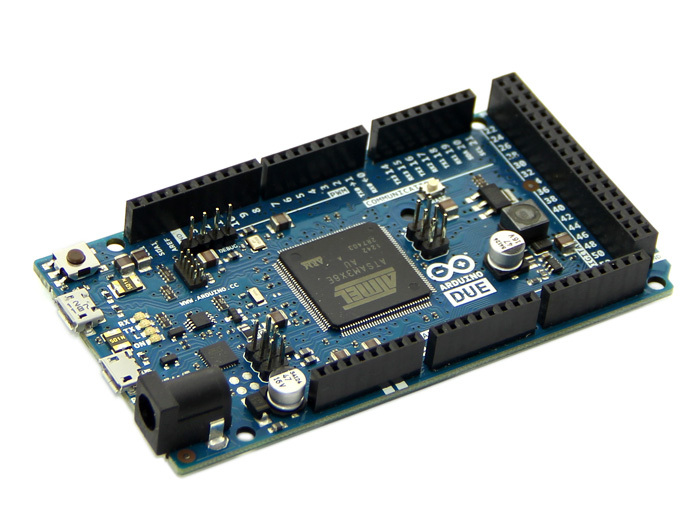 While already dated slightly, the Arduino Due is an incredible platform for real time tasks such as signal processing or controlling of external hardware. The great variety of features on the board make it desirable not only for small scaled private projects, but for use in professional environments where data acquisition and real time ability are of necessity. In contrary to the platforms discussed above, the Arduino DUE is a micro controller platform. It does not host an operating system such as Linux or Android. Instead it is programmed with structural code enabling reaction times much shorter than embedded systems and depending on the program running on it, guarantees processing of code within certain time limitations. Thanks to the large amount of pins available even more advanced projects can be handled by the Arduino Due. Nexus-Computing has written a book "Android + Arduino DUE" for the publisher Franzis where interaction via USB with Android is described, including samples and best practices for both Android and micro computing in general. Furthermore Nexus-Computing has conducted trainings for the /ch/open group with the Arduino DUE. From the form factor and specification, the Teensy is a fantastic platform for engineering. Also support for compiling applications for the board is outstanding as it is possible to use plain C code with standard libraries for development. While many other platforms bring their own IDE; for engineers with experience in Linux, it is much more helpful to have command line tools and Makefiles for creating and deploying applications. 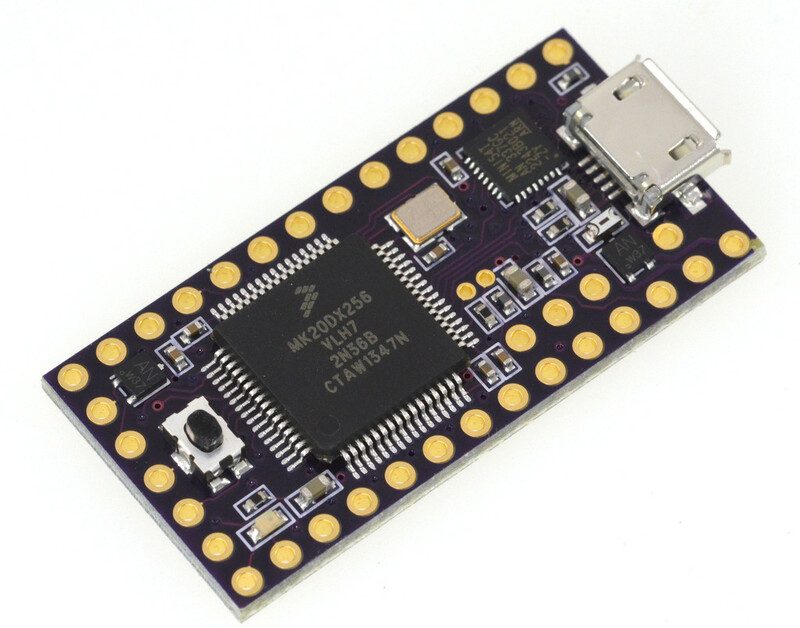 The teensy does all this and features high performance and rich hardware features with the Cortex-M4 processor. However, where the platform lacks is in good USB support. While there is the default USB-Serial driver in place, we noticed issues when communicating with the Android USB host API for instance. A nice example of how to send USB bulk transfers would go a long way with a platform like this (as it would with any other platform featuring a USB interface). Nexus-Computing is currently evaluating the platform for realtime data acquisition projects. While most of the discussed hardware platforms evolve around low level software and applications, this board is used to control servo motors and read sensor inputs. 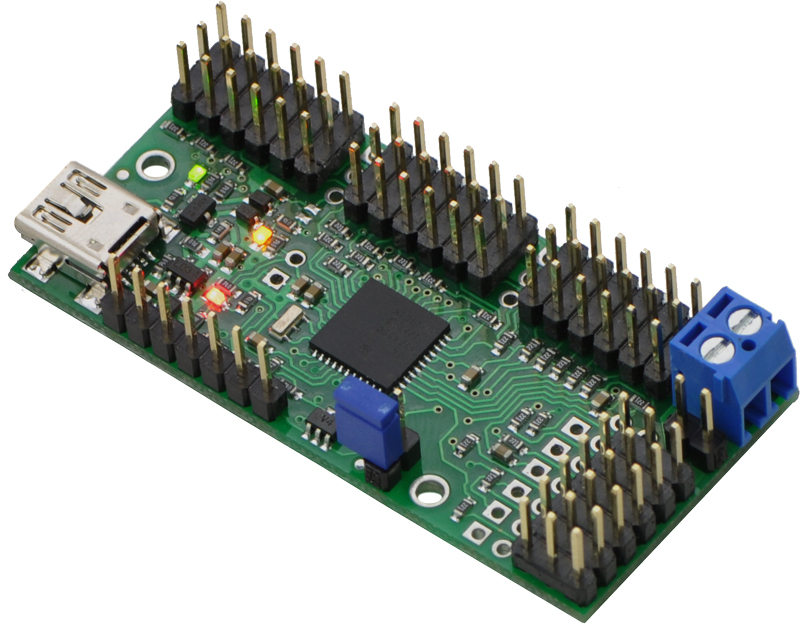 The Pololu Servo Card is a great controller for accessing and extending IO. Over USB, computers or mobile devices can use it to control servos and motors; and via UART a platform such as the Arduino DUE has access to extended IO and peripherals. Nexus-Computing is currently using this platform for the Jinn-Bot project and has written a custom USB driver for Android. 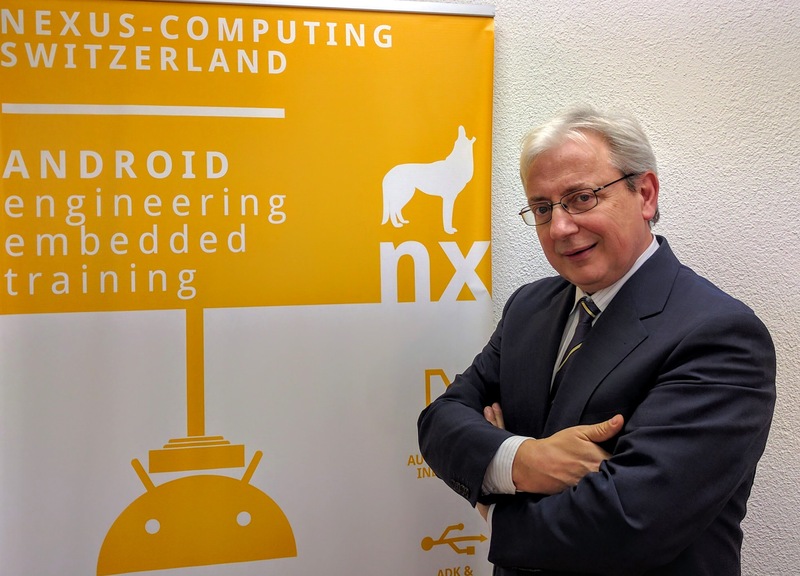 Manuel Di Cerbo founded Nexus-Computing with his colleagues in 2007. 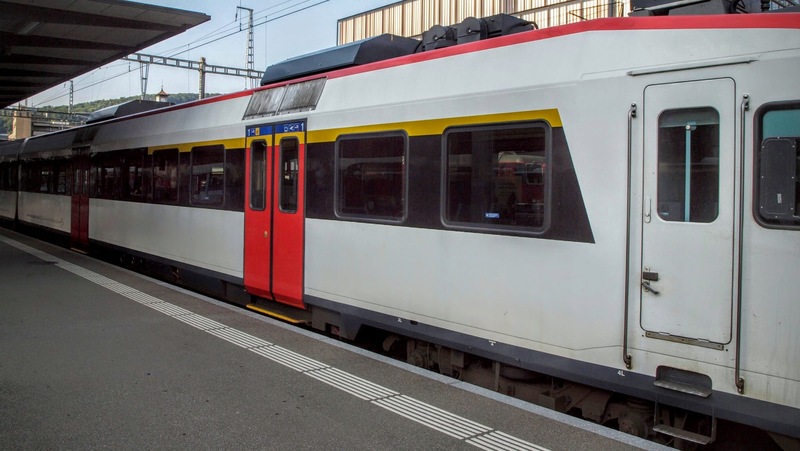 While having been in touch with the art of programming already in his early years at school, studying Electrical Engineering at FHNW, has inspired him to pursuing his passion on a professional level. 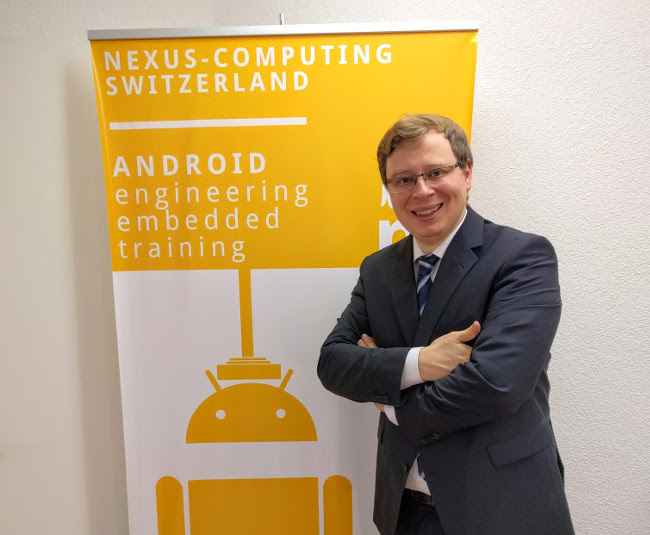 Together with Andreas Rudolf he created the awarded thesis project “Osciprime Oscilloscope” demonstrating the strength of Android within the fields of industrial automation and embedded systems. While becoming quickly attached to the Android development environment and the Java programming language, Manuel exceeded at creating robust and reliable software architecture that is easily extensible and maintainable. By introducing runtime class injection in several of Nexus-Computing’s client projects, the pace of iteration for new features has since been growing continuously. Thanks to the introduction of this new innovation, the abstraction of the Android Software architecture has been significantly increased for client projects. 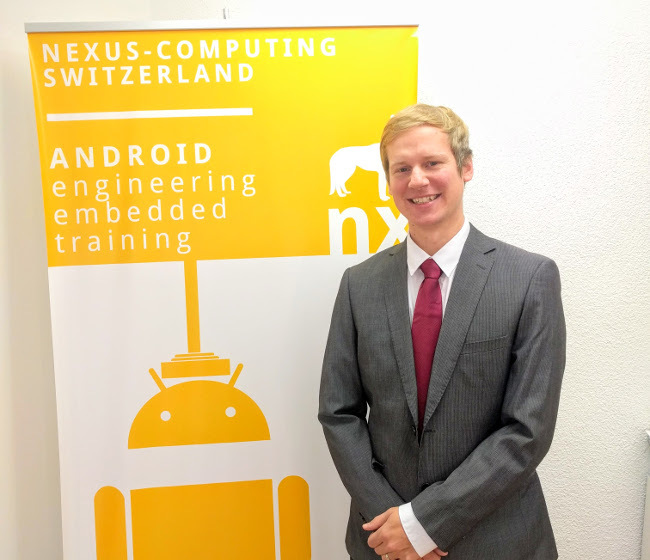 Andreas Rudolf's passion for hardware engineering and software architecture drives the innovation of Nexus-Computing's engines used for their hardware platforms and software frameworks. Having graduated in Electrical Engineering at the University of Applied Sciences Northwestern Switzerland (FHNW) with a specialization in Microelectronics, he has created the hardware and low level firmware for the OsciPrime Oscilloscope. As a co-founder of Nexus-Computing, he has been leading in creating outstanding software solutions for web technology as well as firmware for projects requiring low level languages such as C/C++ for ARM and ATMEL chipsets. His deep understanding for hard- and software architecture builds the foundation of services and trainings offered to clients of Nexus-Computing. Andreas shines in creating reliable and robust hardware interfaces combining sensory equipment & microcontrollers as well as communication between mobile applications and web enabled services. With over three decades of firm understanding of the IT industry, Michelangelo Di Cerbo represents the back bone of Nexus-Computing. Having graduated from the Swiss Distance Univeristy of Applied Sciences with a BSc. in Business Information Management, his deep understanding of customer relations, market analysis and experience in product management are critical to the success of the company. With the firm understanding of software engineering, he ensures that clients are receiving the best solution possible with regards to resources at hand. By directing software engineering resources, he excels in understanding core challenges and ensuring quality of product components for deliverables such as software architecture and engines, programming application interfaces and custom client solutions. Founded in 2007, Nexus-Computing has been developing solutions for small and medium businesses based on Linux Virtualization with Xen. After 2008, software engineering for web and cloud has emerged as centeral competence of Nexus-Computing's enterprise strategy. With the rise of mobile technology, clients of Nexus-Computing have been supplied with Android software solutions since 2010. With the momentum of Linux Embedded System Software, Andreas Rudolf and Manuel Di Cerbo have shown how future appliances of Android in the industrial markets are imminent. In 2010, their award-winning thesis "Using Android in Industrial Automation" has not only projected the demand for rich development environments in the embedded industry, but has also shown how the benefits of the newly introduced Android platform can be applied in a concrete project outside the context of mobile phones. Their product "OsciPrime Oscilloscope" shows the capabilities of Android in terms of UI and data acquisition for industrial applications. 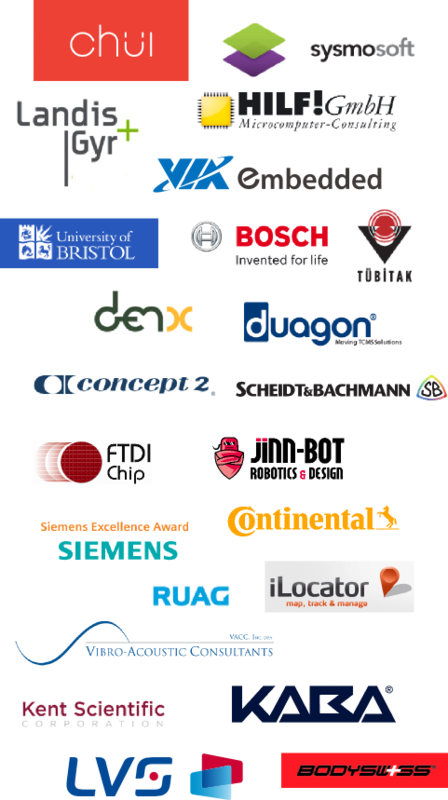 Since 2012, additionally to the software engineering and consulting services supplied to their clients, Nexus-Computing has been offering over 15 Android Embedded trainings showing opportunities and best practice solutions of implementing Android in Embedded Systems as well as core differences to conventional Embedded Linux Environments. The focus of the workshops lies on practical experience with AOSP and driver development as well as data processing.